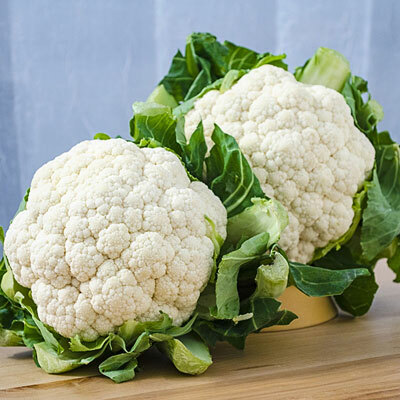 Snow Crown Hybrid Cauliflower | Henry Field's Seed & Nursery Co.
One of the easiest cauliflowers to grow. Vigorous, rapid growth and long harvest. Snow-white, 2-lb. heads are 7-8 in. across and very flavorful. 55 DAYS. For each offer ordered, get approx. 75 seeds per packet. Soil Requirements: Deep, rich, well-drained soil. Seed Count: Approximately 75 seeds per packet. Size: 7 - 8 inches. Fruit: 7 - 8 snow-white heads.